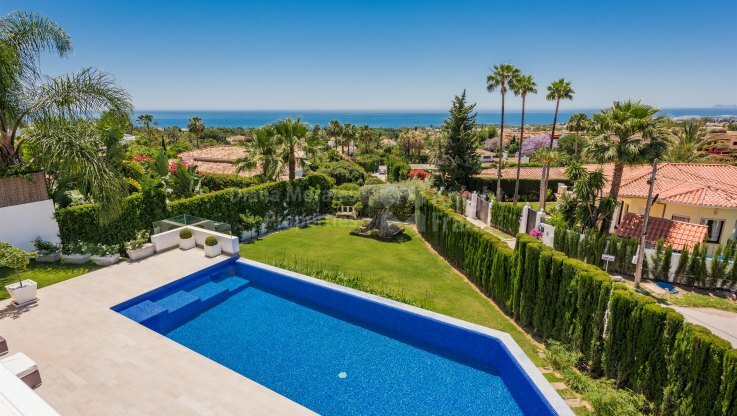 Please, send me more information about ref DM4054 in Rocio de Nagüeles, Marbella Golden Mile or similar properties. 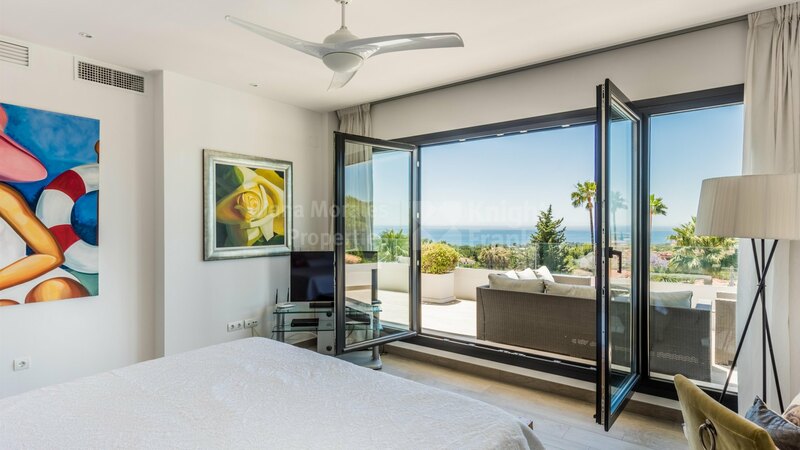 Stunning modern villa with spectacular sea views in a fabulous location just below Sierra Blanca at approximately 2kms from Marbella centre, with all kind of profesional and commercial services, and the beach. 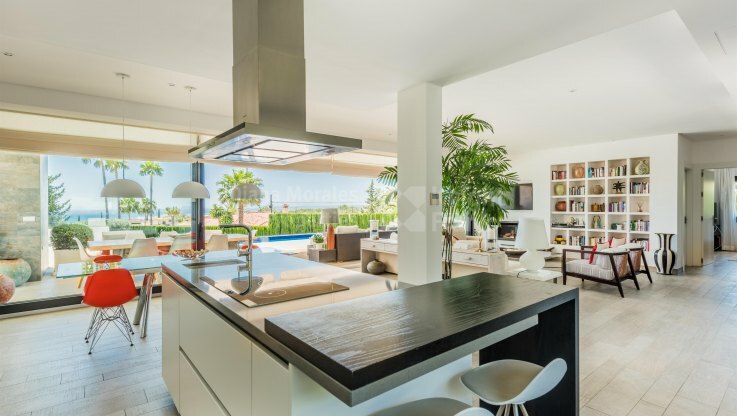 The accommodation of the ground floor consists of a large open plan lounge and kitchen with inside dining area which leads onto a chill-out zone and covered terrace. 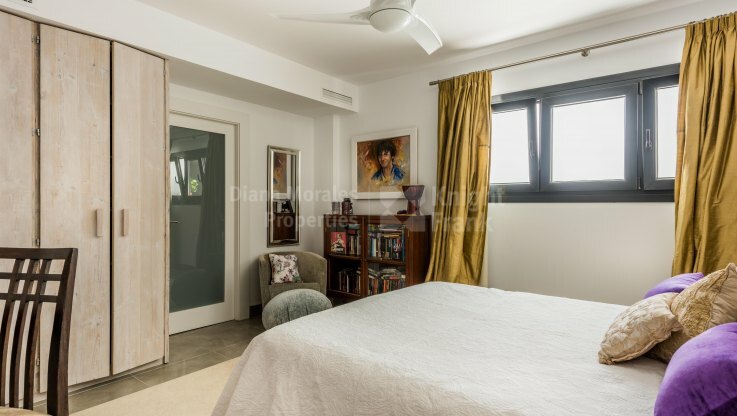 There is also a room which is currently used as an art studio with a bathroom which can be used as a further bedroom if needed. 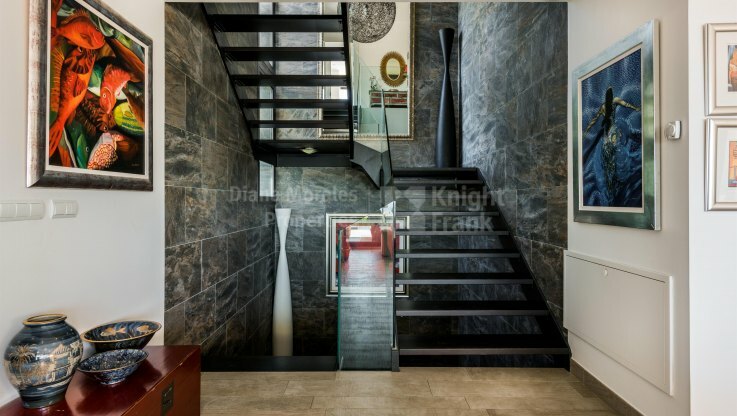 A guest toilet and a bedroom suite complete this level. 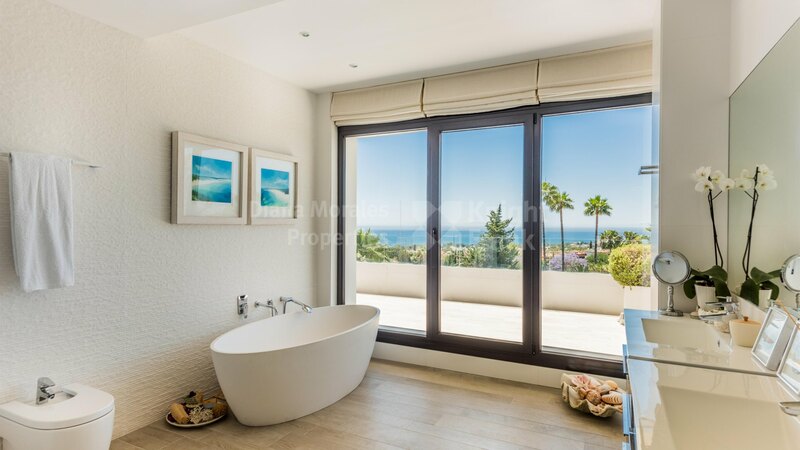 Upstairs is the large master bedroom and bathroom with walk-in wardrobe. 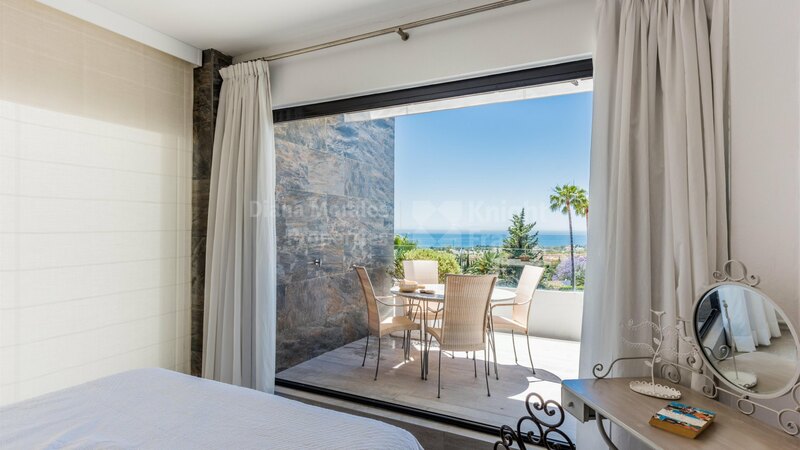 There is also a second bedroom leading out onto a large covered terrace with panoramic views. 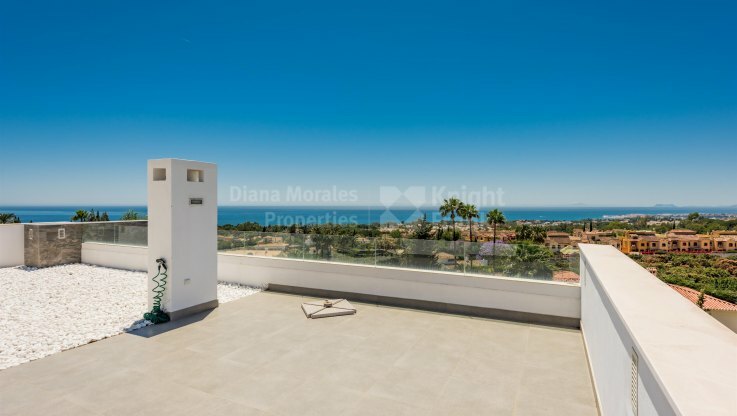 A large roof terrace overlooking the surroundings and enjoying views of La Concha mountain and the sea is perfect for sunbathing. 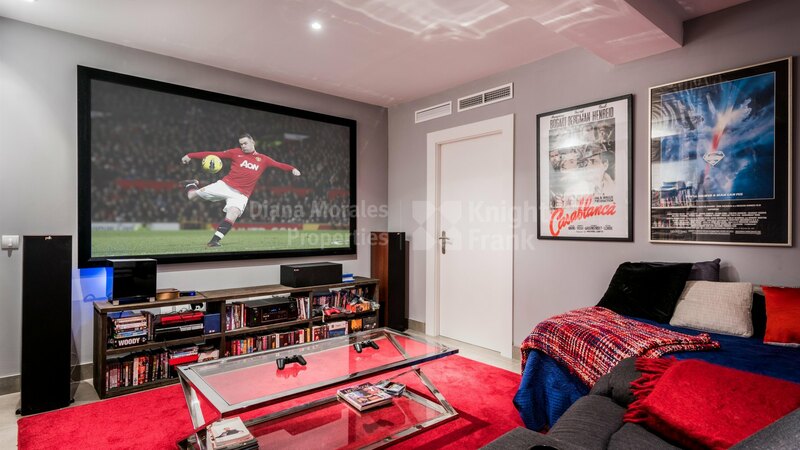 In the basement area there is a cinema room, a laundry, a fifth bedroom with shower and 2 car garage. The house is surrounded by a green lawned garden and has water features at the main entrance. 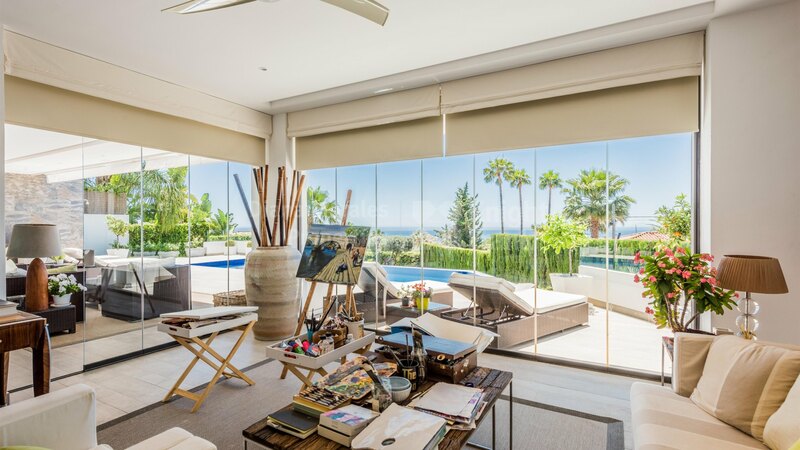 The infinity swimming pool, water underfloor heating, air conditioning, wood-effect floor tiles, PVC carpentry and glass curtains are some additional features. 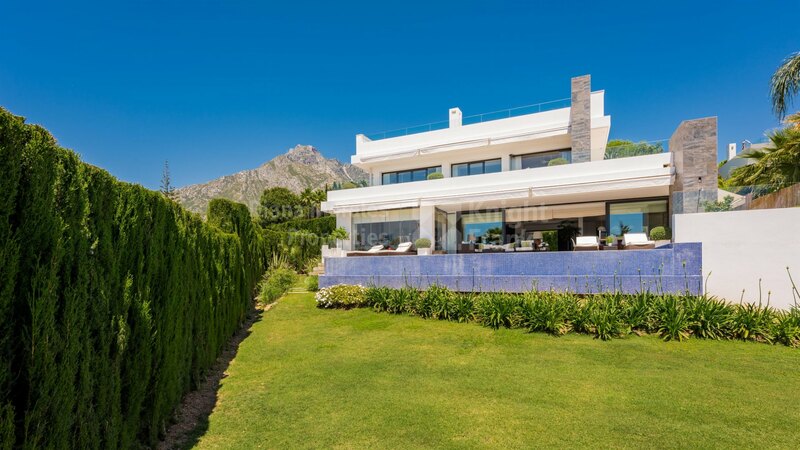 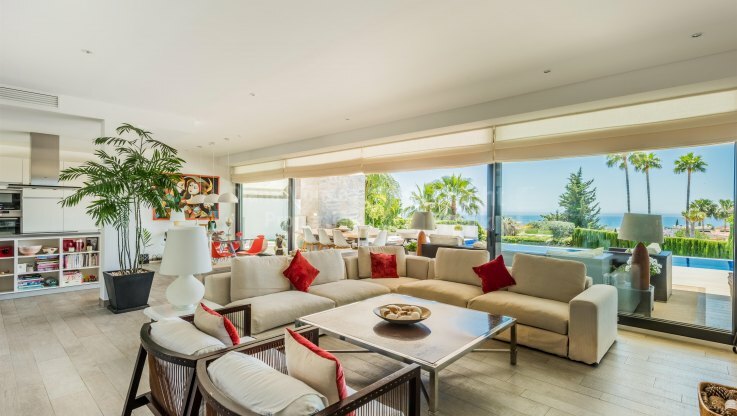 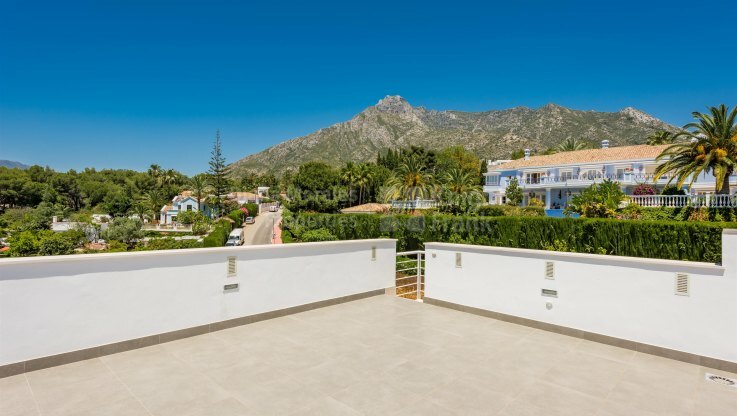 Extending from Marbella’s glamorous Golden Mile, and Mediterranean beaches, Nagüeles is an exclusive and secluded residential area that follows a gentle gradient towards Sierra Blanca, at the foot of Marbella’s majestic La Concha Mountain.